Bargain Shopping Paradise: New promotion from Sierra Trading Post: WIN AN IPAD!! 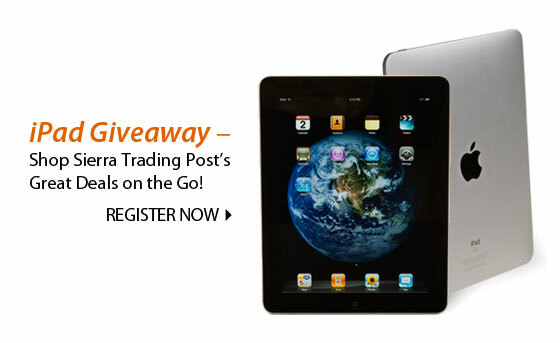 New promotion from Sierra Trading Post: WIN AN IPAD!! Win an iPad from Sierra Trading Post! Sierra Trading Post is offering shoppers the chance to win a free iPad! No purchase is necessary. The iPad Giveaway Sweepstakes starts Monday, June 14th at 12:01 A.M. (MT) and ends Sunday, June 27th at 11:59 P.M. (MT). The giveaway is open to US residents. I just found you blog and I am your newest follower. Nice to meet you.